This is an ideal shelter in the middle of the legendary desert of Liwa. Travelers describe the hotel as “just an amazing place in the middle of a desert with red sand”. 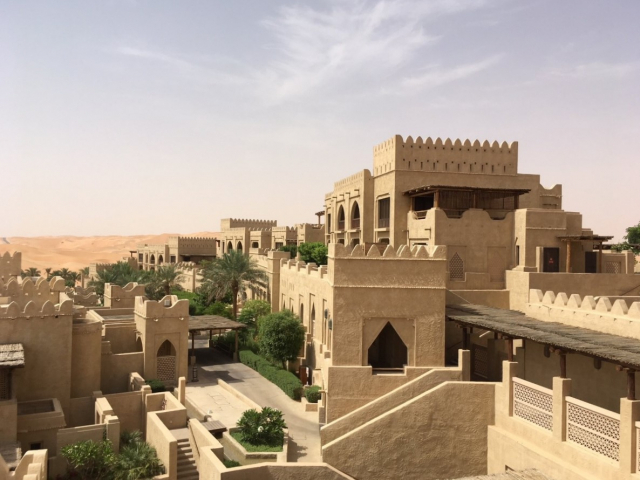 And although all the rooms of the hotel overlook the desert, guests can spend time in the spa center, the fitness room, the swimming pool, four restaurants, and the library or go on an excursion to get unforgettable impressions. 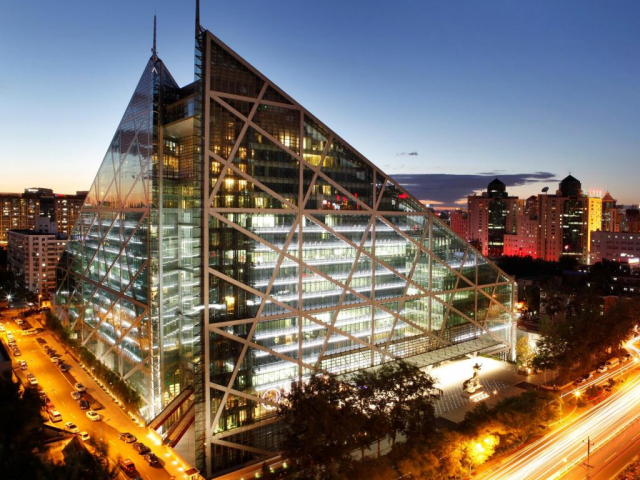 Eclat Hotel is located within Beijing’s new landmark, Parkview Green FangCaoDi. 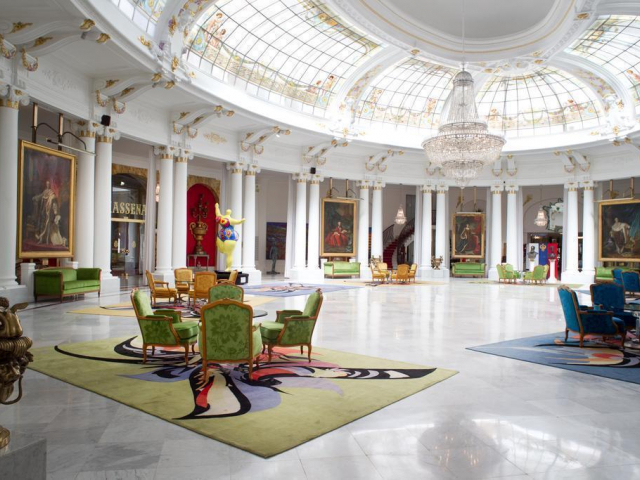 The rooms of the hotel, built in the form of a glass pyramid, are decorated with a stunning collection of works of art, including such authors as Salvador Dali and Andy Warhol. “This hotel was built as an art gallery, so there is always something to see in it,” such reviews are left by hotel guests. 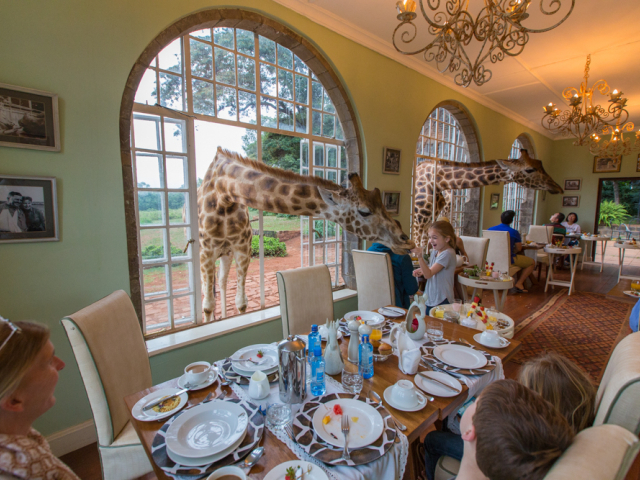 Giraffe Manor is a safari-paradise with green gardens, sun terraces and delightful courtyards, along which giraffes walk. In the mansion, built in 1932, the nursery for the Rothschild giraffes was organized. Here they are bred and released back into nature. A small hotel today has ten rooms decorated in colonial style. Do not be surprised if a giraffe knocks on your window in the morning. In Gamirasu Cave, guests live right in a thousand years old caves carved into volcanic rocks. 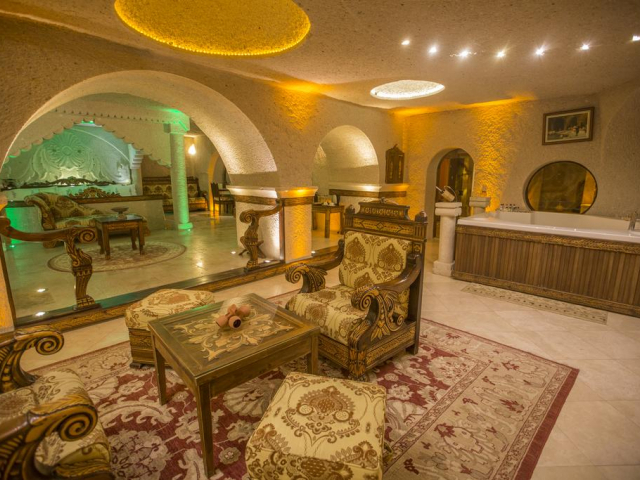 Previously these caves were occupied by monks of the Byzantine monastery, and today, in elegant rooms with vaulted ceilings and traditional Turkish decor, there are bathrooms and balconies overlooking the rose garden. 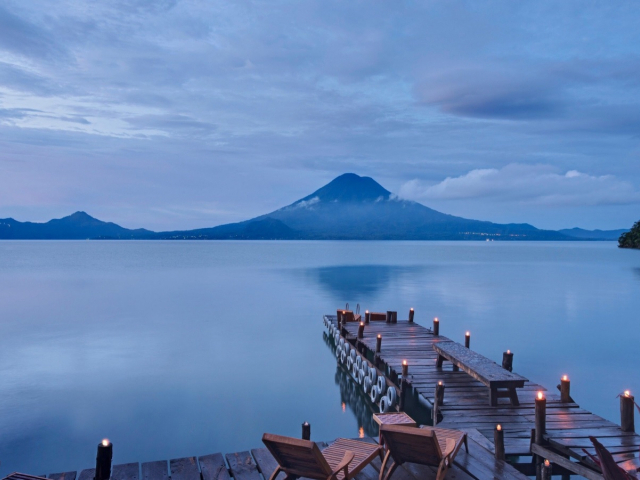 La Fortuna is positioning itself as an eco-hotel which is located on the shores of Lake Atitlan, one of the most beautiful volcanic lakes in the world. There are five luxurious bungalows, each of which was built with environmentally friendly materials. The staff ensures that the rooms always have clean drinking water and fresh fruits. This famous luxury hotel in the neoclassical style is a well-known meeting place of crowned and titled persons from all over the world. The design presents the style of five different historical eras, from Louis XIII to modern times. 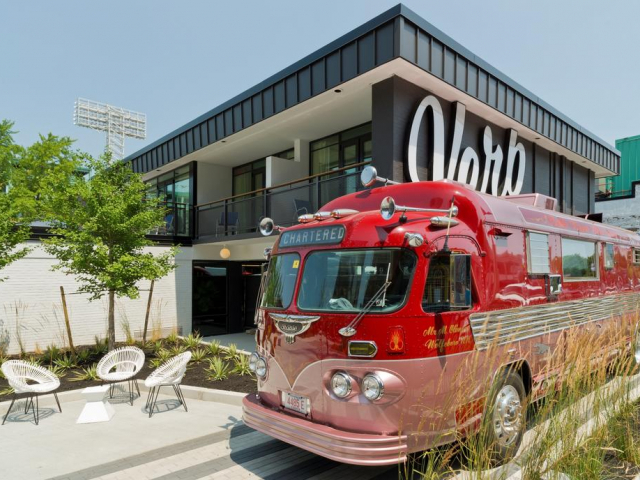 The Verb will take you back to the future. As the main characters of the popular saga, you will return to the 50s. The hotel is built in rock and roll style, and its walls are decorated with musical rarities of those times. It is never too late to dance to Elvis Presley. The hotel, located on the glittering waterfront of Wellington, has a large collection of modern art from New Zealand. 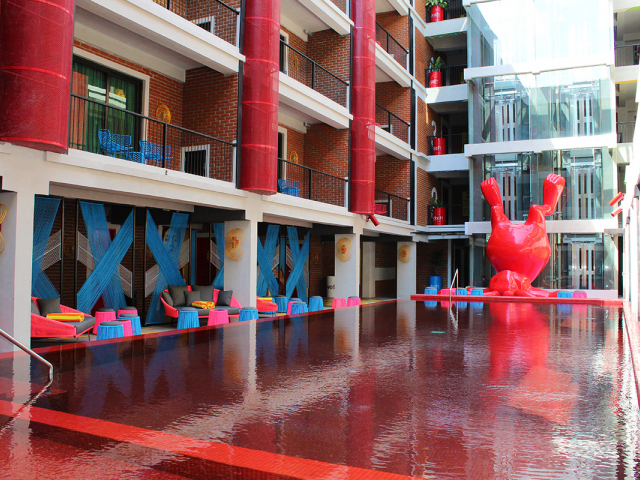 The hotel can boast over 160 original works of local and national artists. The former power station was turned into a comfortable boutique hotel. 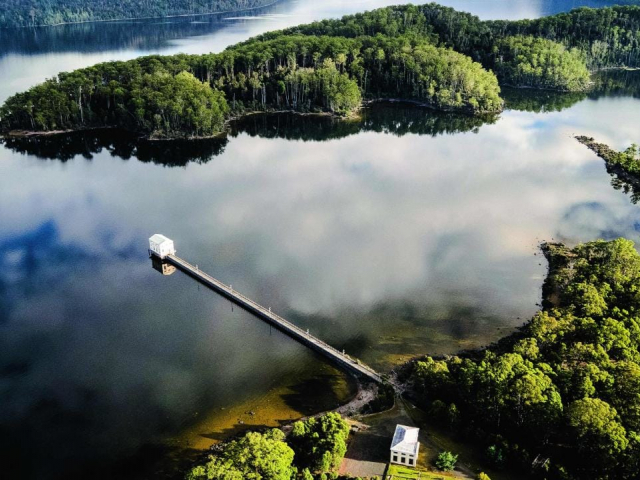 The building is located in the middle of the deepest lake in Australia, St. Clair, on the island connected to the land by a 250-meter bridge. In the hotel, there are 18 rooms, free bike rental, fishing and many other attractions for a relaxing holiday and unity with nature. The rooms of the eco-hotel are located in the forest among the trees. 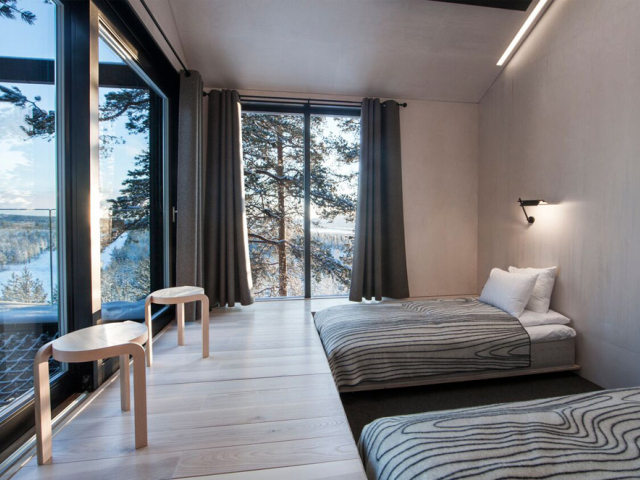 Stay in one of seven houses and enjoy your holiday: watch the northern lights, ski or go horse riding. 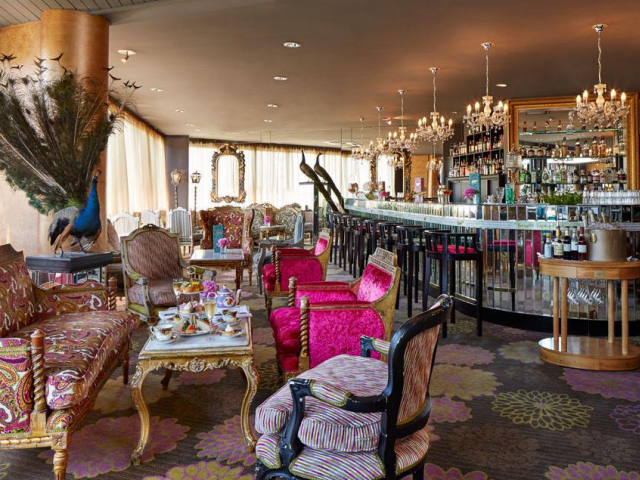 "One of the most interesting and unusual hotels to stay," reviews of guests on Tripadvisor. “A stylish, unusual and colorful hotel”, this is how the guests of the Dash Hotel, located in a heavenly spot on the island of Bali, describe it. In this hotel, everything is colorful, even the water in the pool. Seminyak Beach, where you can sunbathe or surf, is situated 10-minute walk away. 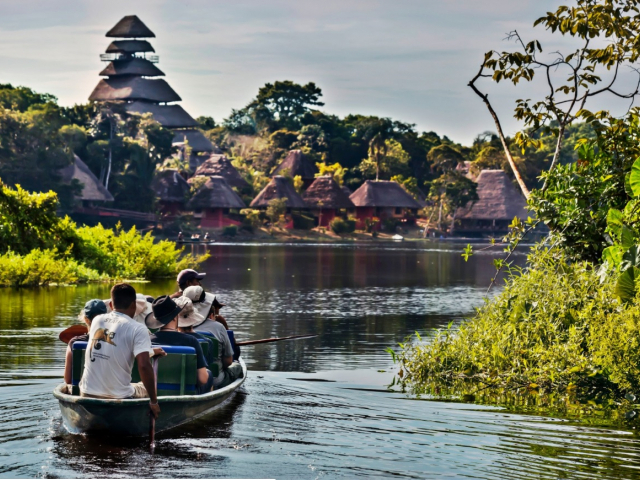 Explore the Amazon rainforest and discover the traditions of the local indigenous communities, staying at one of the houses located in Yasuni National Park. The park is considered one of the most diverse on the planet. The hotel has everything to ensure that you get closer acquainted with the flora and fauna of the park, even the panoramic floors in the rooms. 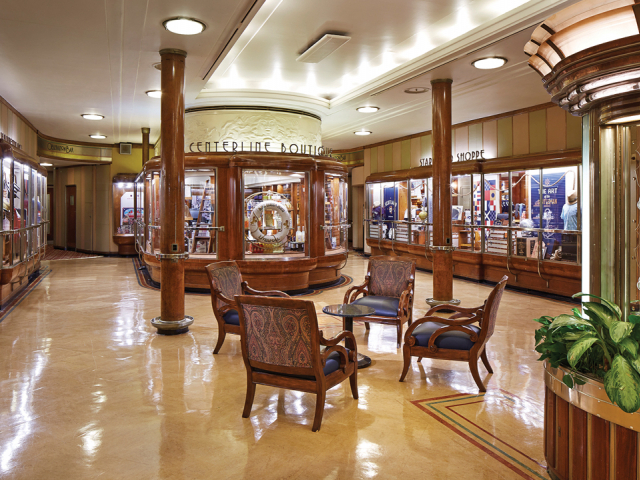 Feel like a real captain on the famous ocean liner, moored permanently in the city of Long Beach. The transatlantic liner was launched in 1934. In 1940, the ship was called up for military service, receiving the name "Gray Ghost", because its speed made it easy to get away from enemy submarines. Today, there are 16 lounges on board with the ability to accommodate up to 2,000 people at a time and a hotel for 365 people. On the ship, there is even a wedding chapel and a church. A themed hotel, decorated in the style of H2O, offers a beautiful view of the Gulf of Manila. 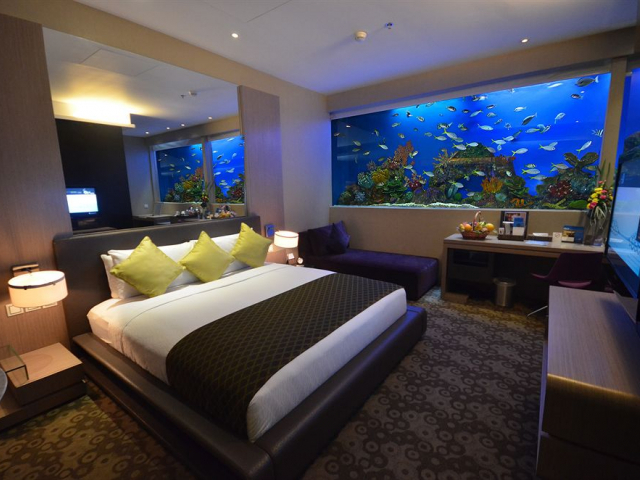 The rooms are equipped with wall-to-wall aquariums. So the guests are offered to get acquainted with the underwater world of the country.